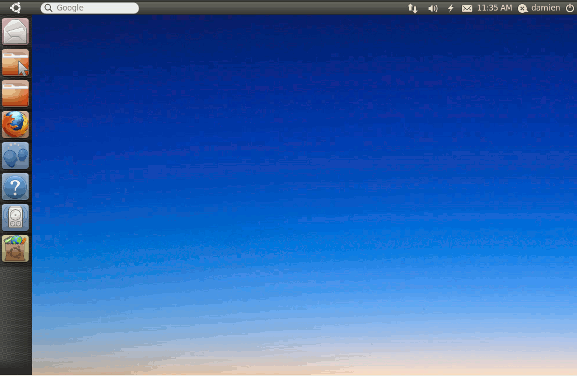 Are you loving your current Ubuntu Netbook Edition (UNE) user interface? Well, that’s going to change in the next iteration of UNE, also known as 10.10 Maverick Meerkat. 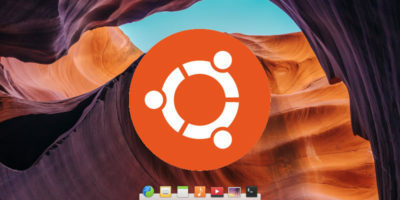 Ubuntu founder has recently unveiled a new lightweight desktop environment called Unity. This new desktop environment is designed to consume lesser resources and make lesser use of the screen space. It will comprise of a dynamic dock like launcher, a global menu and windicators on the top right corner of each app window. 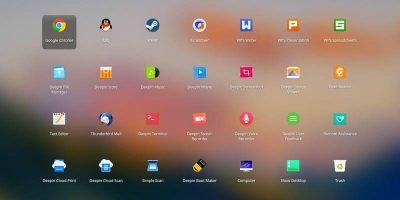 The PPA is available for public testing and we took the chance to give it a spin in our Ubuntu desktop. For those who wish to test Unity, you can install it via the PPA. 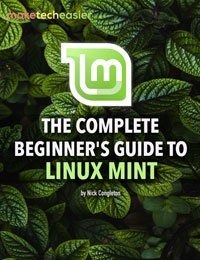 It’s only applicable for Ubuntu Lucid. After the installation, restart your system and choose the Ubuntu Netbook Edition when you are logging in. The first thing that you will notice is the gnome-shell lookalike interface. There is a vertical dock on the left of the screen and a search bar at the top panel. The taskbar remains the same, but you can no longer add/remove applets from the panel (it is locked). The dock on the left is the main activities area. You can add/remove applications to the dock and arrange it in the order you prefer. It has a similar flavor to the Windows 7 taskbar, but less customizable (at this point of testing). To add application to the dock, you will have to first launch the application (from the Applications folder). The app icon will appear in the dock. 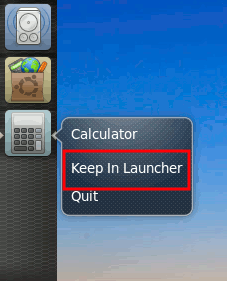 You can then right click and select Keep in Launcher. At any time, you can identify an opened application from the arrow at the left of its icon. The right arrow (beside the icon) represent the currently active window. To arrange the icons, you have to first drag the app out of the dock, then move it to the position you want. The dock is also scrollable, making it possible for you to add many applications and still able to access them even though they are out of your screen. You will notice that there is no windows selector in the whole desktop. The Ctrl+tab shortcut is also not applicable. The only way to select your inactive/minimize windows is to click on the Ubuntu icon on the top left corner and get it to display all your windows in an expo style. One distinct feature of Unity is the Google search bar at the top panel. 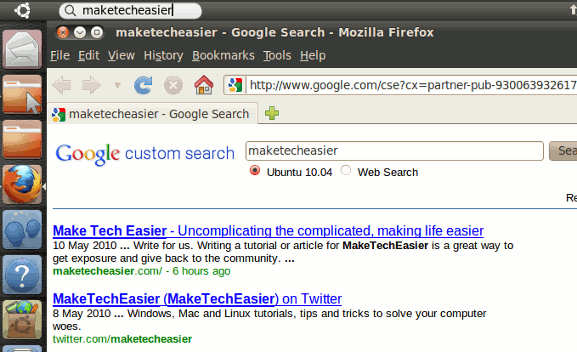 When you perform a search, it will launch Firefox (or the default browser) and show the search result. Note that this Unity package is still far from completion, so there are still plenty of features not included. Like the existing UNE, the top panel is locked. You won’t be able to add/remove any applets onto it. With Unity, your desktop has kind of become obsolete since you won’t be able to access it. If you like to place your files in your desktop, the only way to access it is to open Nautilus and navigate to the Desktop folder. For example, if you want to open 2 Nautilus windows, you can’t do that with the dock launcher. Apparently, the Unity package is still lacking in many areas that prevent us from using it as the default desktop environment. Nevertheless, there is still considerable potential that not only will bring a lot of value to the Ubuntu Netbook Edition, but also setting a new standard in netbook user interface. I like it so far, especially if it runs on older/less powerful hardware that Gnome-shell will not. I could care less about losing the icons on the desktop as I don't use them anyway. Hopefully, they will fix the problem with only allowing one of each app at a time and please allow Ctrl+tab to switch apps. Oh yeah, and unlock the top bar – why is it locked on the Netbook version anyway!? Unity runs a LOT slower than Gnome does. Pretty stupid aiming it at netbooks, considering typical netbook specs. This is still an early release, so a lot of bugs still need to be squashed and all the features are not in place yet. I believe that the final version will be a fantastic product. Perhaps Canonical should do a poll of how many Ubuntu users support this change. 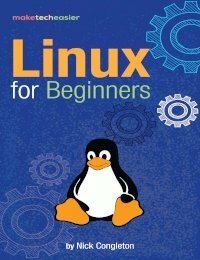 If I, and my converted to Linux friends, continue to use Ubuntu, it will be with Gnome desktop or we will have to decide on a new distribution that uses Gnome. We’ve tried other desktops and prefer Gnome to all of them. Why not just make Unity an option in synaptic? Gnome is still pre-installed in Ubuntu netbook, only that it is not the default desktop manager. You still can switch through Gnome by changing the session to Gnome in the login screen. Anyway, I need to figure out how to make it WORK like 8.10 and 9.04,.. and 9.10… This Unity UI is so HEAVY it slows my system to a crawl… it is a heavyweight resource intensive do nothing for me application, and I am having trouble getting rid of it. I don’t know what the alternatives are… (always learning to program and providing a saner alternative?) well, I got a bit of money to throw at someone who restores 10.10 to pre-unity netbook remix glory. As you said, avoid 10.10. Alternatively, switch to the default Gnome session from the login page. You won’t get a netbook friendly interface, but you will get a usable netbook. Not pleased with Unity at all on a netbook, and definitely would not want it on my notebook or desktops. 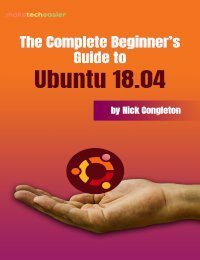 To say the truth, the current version of Ubuntu Unity is not up to the standard. 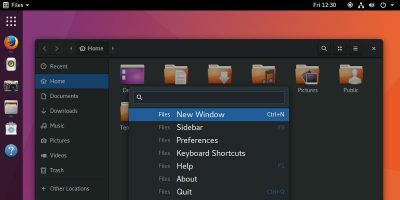 High hope has been pinned on the next version of Ubuntu, which will come with unity as the default desktop manager. We will pass the second round of judgement then. Frequently need more than one text or pdf files open for comparison. hopefully Unity will evolve to be more capable. Also, a fast-to-web start with more available later on startup could be a solution. Or, dual-boot a ‘lite’ Unity just for non-secured use with no/ limited file system access. Mark Shuttleworth stated that they used many screenshots of Ubuntu and Kubuntu to find what people want. I’m not Windows user by choice, but by need. Looking outside one’s own ‘box’ can give great insight to what potential users NEED and want. then that’s all the users that can use it- won’t function correctly for the rest.